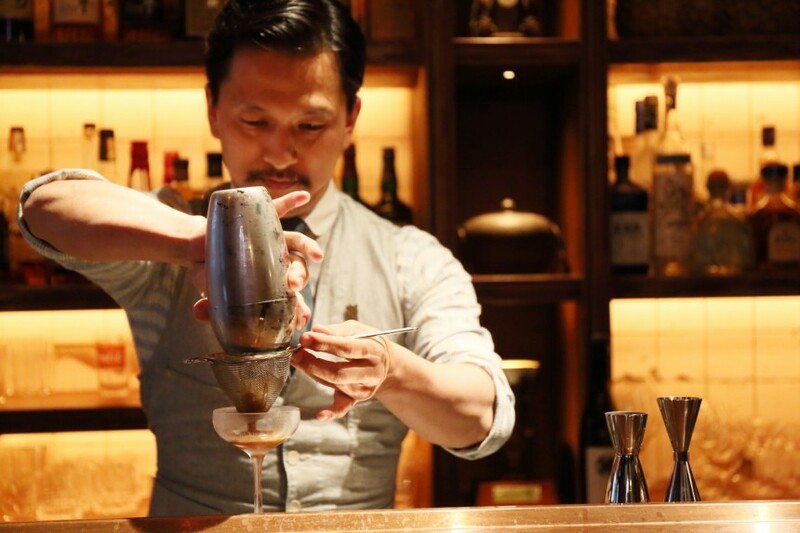 This summer, world-renowned Japanese bartender Shingo Gokan finally opened up his first bar in Japan: a New York-style establishment, called The SG Club. Located in Shibuya’s Center Gai, the multi-level bar uses a fusion of Western and Japanese cultures as the backdrop in a space that is meant to engender, above all things, a celebration and appreciation of Japanese bar culture. Inspired by the seemingly obscure decade that was the 1860s, The SG Club is separated into two spaces: Sip, in the basement; and Guzzle, on the first floor. Japanese history buffs will recognize the significance of the decade and theme — it was in this decade that the first samurai travelled to the U.S. With its highly detailed bar decor, The SG Club tries to reproduce the sights and experiences these samurai would have come upon on their journey. 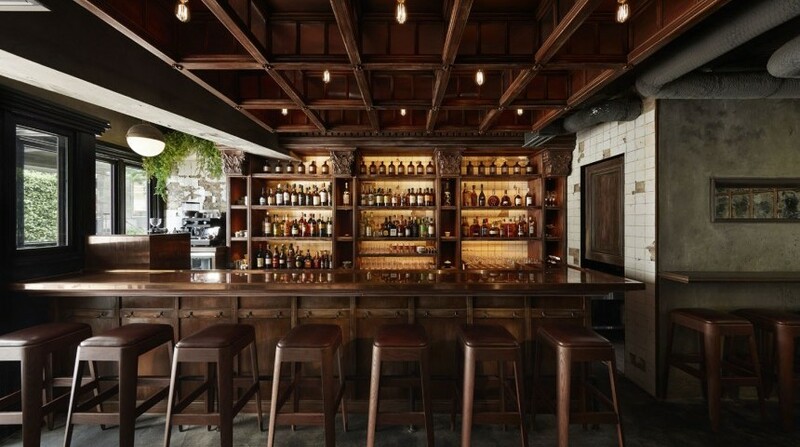 The first floor (Guzzle) is a manifestation of the journey itself: its menu is a 3-page cocktail map of Japan, Caribbean Sea and New York. 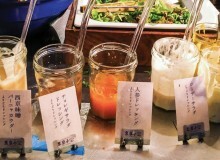 Traditional cocktails from these three countries are offered but—perhaps to afford guests a hint of the sense of new discoveries the samurai must have felt along the journey—each has a twist. Thus, the traditional espresso martini becomes the cold brew martini; the negroni becomes the fig-infused “figroni”; and the rum and Coke becomes the “rum and Cola without Cola” (in which organic ingredients such as lemon peel and milk are used to replicate the flavor of Coca Cola). Sip in the basement is a moodier, darker affair; telling not of the journey, but the darker characters the samurai may have experienced along it. 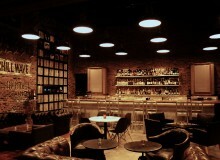 The space holds a distinct “mafia” mood and aptly, the most memorable cocktail here is the “wagyumafia” fashioned. 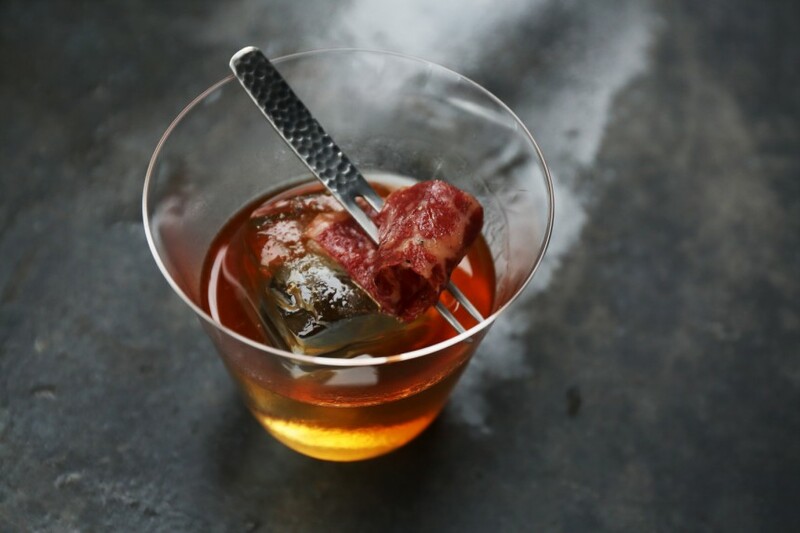 Made in collaboration with Nakameguro-based wagyu sandwich store Wagyumafia, the cocktail has a base of Woodford Reserve, which is mixed with Kobe beef fat, then strained and chilled before it is served with Kobe beef jerky and honey. With other cocktails given equally ambiguous titles (such as “Nikkei”, “L.O.L” and “Geisha”), all items on the menu are definitely worth a try. All ingredients for the cocktails are produced in an in-house lab, where SG staff put their wit and inspiration into new cocktails everyday. 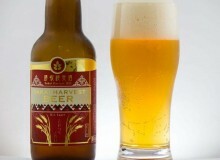 Perhaps this constant effort is the special ingredient in the tasty drinks — or perhaps the delectability in the final product is due to the “secret” Japanese spices mixed into each cocktail: for example, instead of normal sugar, kokuto (Okinawan brown sugar) is used in the cold brew martini. 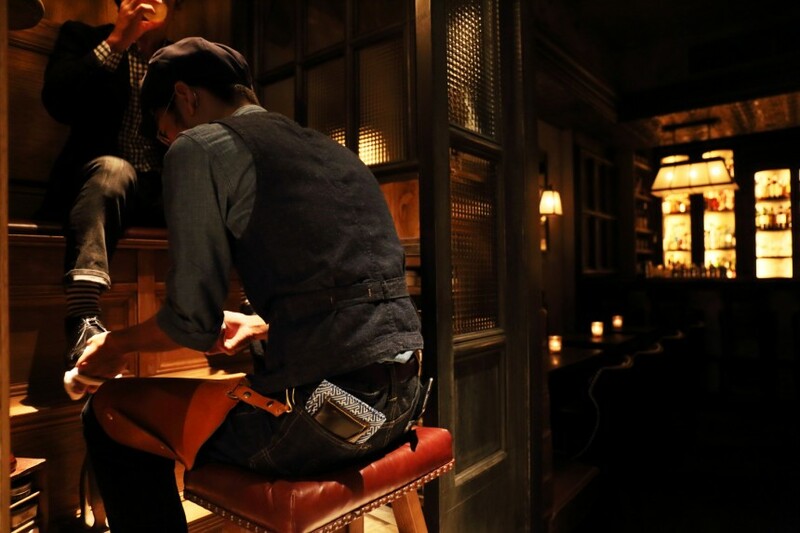 In one last extraordinary bid to replicate New York in the 1860s, the bar offers a shoe shine. That’s right — men and women alike can drink their stress away while ticking “shine shoes” off their to-do list. It may just be the most superfluous way one can multitask, but it certainly deserves a nod for effort on the part of concept creator Gokan. The SG Club also serves local green teas, coffee and even takeaway cocktails. Gokan himself is incredibly friendly and very happy to answer any questions you may have about his curious concoctions. Whether or not you are a cocktail or bar enthusiast, The SG Club is worth a perusal and is sure to satiate your desires, be they for old classics or new concoctions. The exclusive but friendly atmosphere and gastronomic cocktails are sure to give you an experience you can only hope you won’t forget. Guzzle is open from 2pm to 2am, and Sip is open from 6pm to 2am every day.